If the superhero sleep masks and The Rainbow Connection weren’t enough to allude to our family geekiness, this project ought to do the trick! 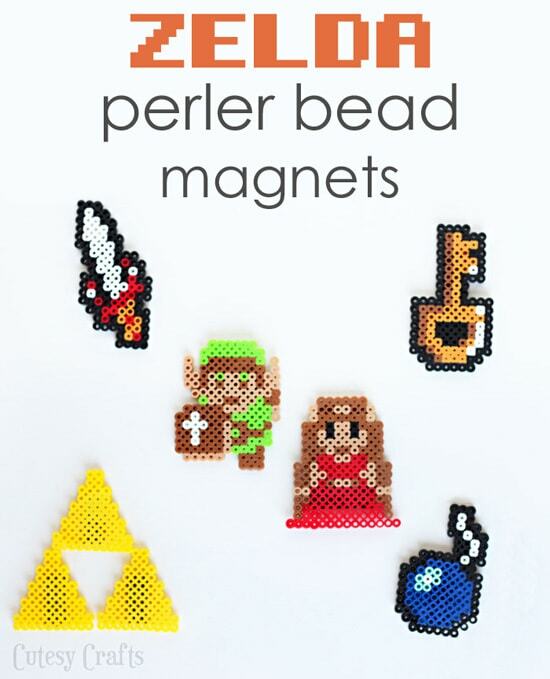 I made some perler bead patterns based off of the NES 8-bit version of Zelda so the kids could make magnets for Daddy’s cubicle at work. A fun little father’s day gift from them. I still like to shoot up aliens in Halo every once in while, but the real fun is going back to the classics. 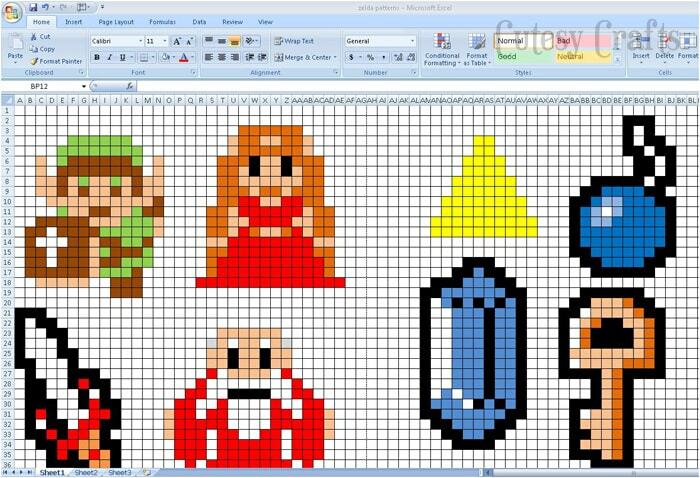 Zelda is one of our favorites, so these pixel elements from the game are perfect for Joe. I got the idea when I saw these 8-Bit Mario Magnets from Law Student to Life Student. 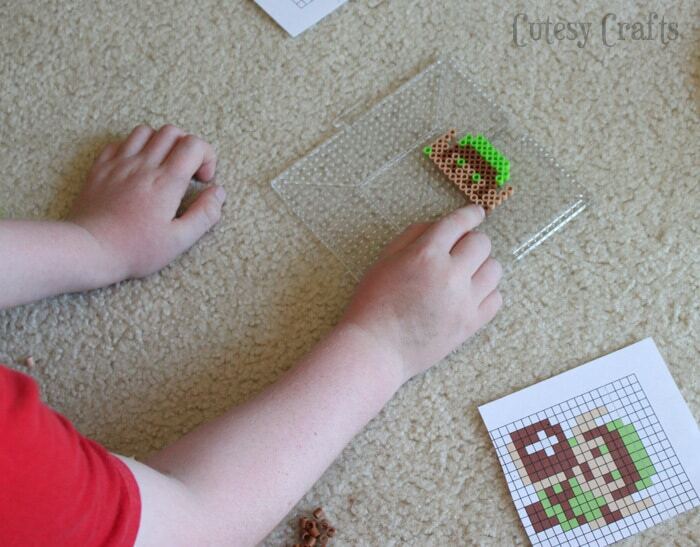 The kids LOVED making them, and haven’t stopped playing with the perler beads since. I made the patterns the same way I made this bunny cross-stitch pattern. Just open up Excel and size the width of the columns to make them square. Shade in the cells with different colors to make designs. Here are the patterns that I made. We didn’t end up making the old man or rupee since we were running low on certain color beads (and patience), but I included those in case you want them. Those gray corner beads on the old man’s hair should really be white, but if I made them the right color, they wouldn’t show up on the pattern, just an fyi. 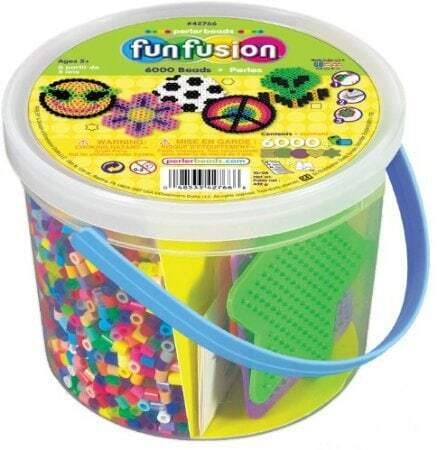 I bought this bucket of perler beads that had every color we needed and enough extras to scatter all over my house (seriously, every time I turn around I’m stepping one them!) 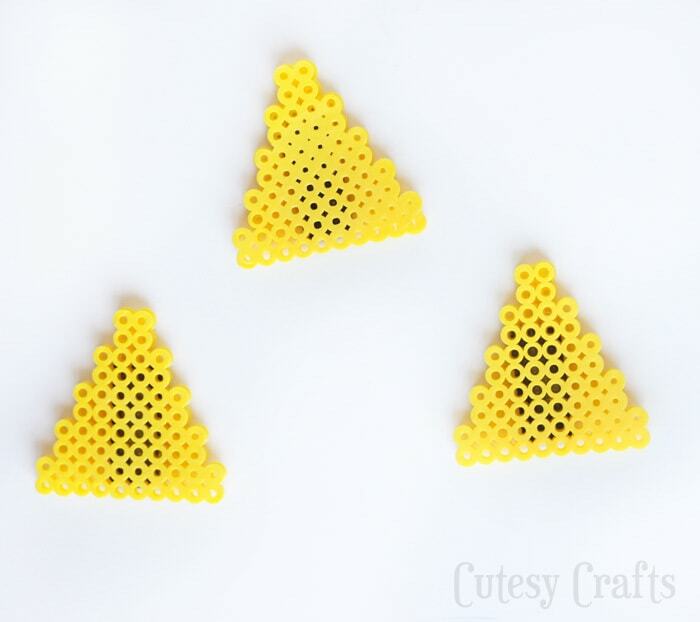 It came with a square pegboard that is a little too small for most of these patterns, but you can make part of one, iron it a little, and make the other part, and then iron them together. We also have one of these larger boards that we used for most of them. So just make the designs, iron them according to the instructions and hot glue magnets onto the back. I used magnet strips and they showed through on the triforce pretty bad. Next time, smaller magnets. The other ones look good though. Probably because they are darker. Any other game nerds out there? Tell me I’m not the only one with a secret geeky side. 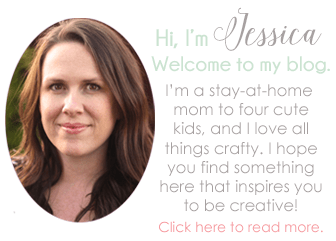 Also take a look at my 20 Father’s Day crafts for kids to make. 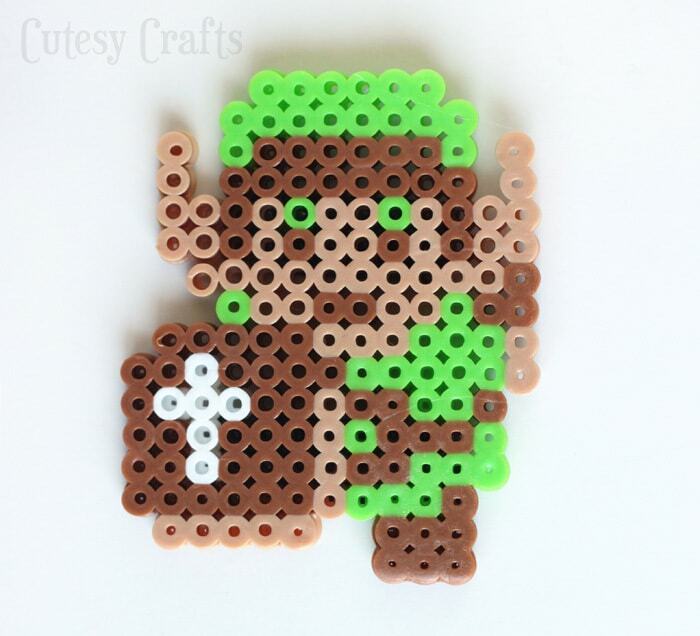 Perler beads and old 8-bit games make the perfect combination! Earl and I still have some magnets of 8-bit versions of us made with perler beads. Tons of fun! I love how your game characters came out Jessica!